How is everyone? I hope you had an enjoyable Monday and it wasn’t too tough to get out of bed this morning! 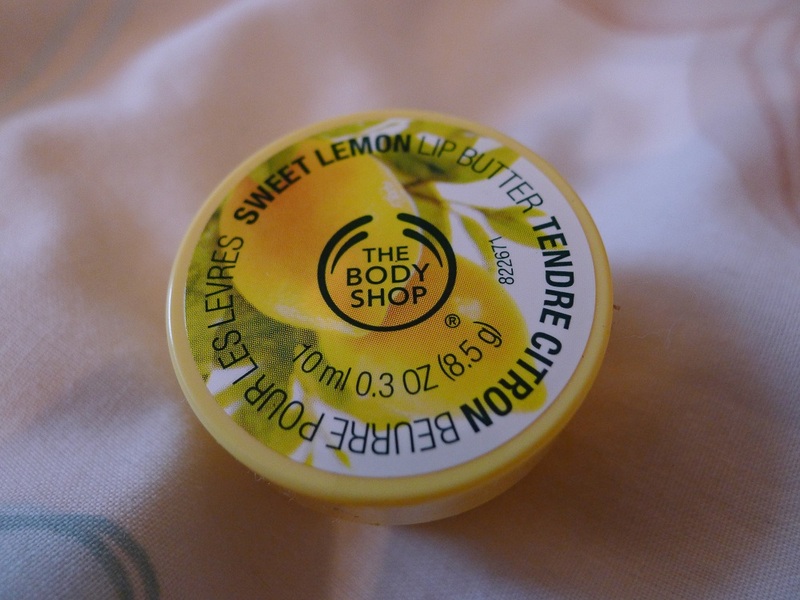 Today’s thoughts are on this lush lip balm in ‘Sweet Lemon’ which I bought a few weeks ago, so here’s my The Body Shop Lip Balm Review! So I was busy browsing all the lushious goods that The Body Shop has to offer when I spotted these cute little yellow pots of lip butter in a small basket, mixed in amongst a selection of other adorably packaged tubs! I grabbed the testers and had a good sniff of each to determine which flavour I liked most, and the ‘Sweet Lemon’ won me over! 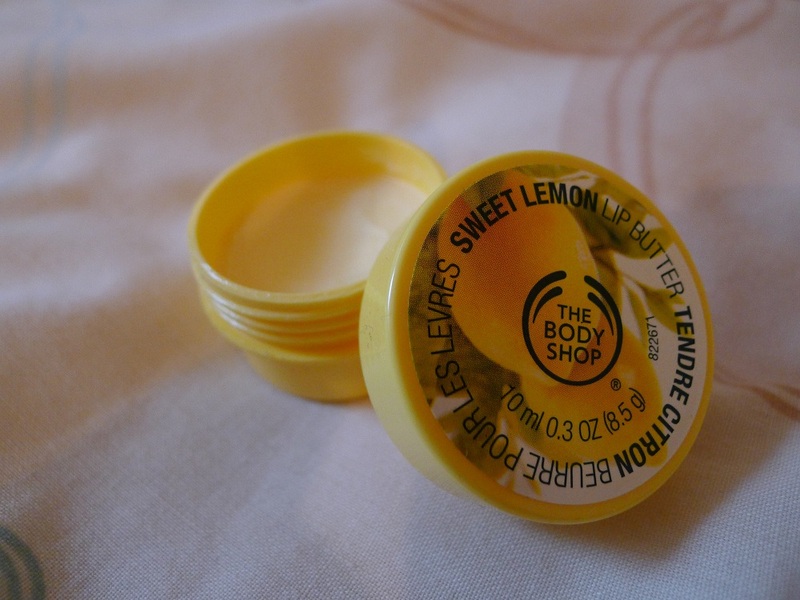 The Body Shop ‘Sweet Lemon’ lip butter is a refreshing, zingy lemon smell and it’s so yummy that you could almost eat it! 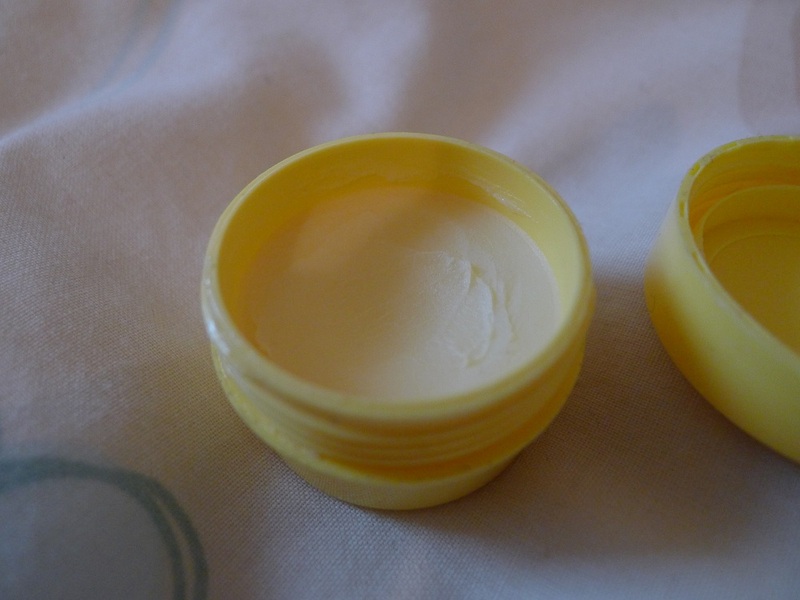 The lip butter is really smooth and creamy (as if it were butter!) and glides gently onto the lips, leaving them coated with a subtle gloss. I find it really nourishing when applied and my lips are hydrated throughout the day. I do re-apply fairly regularly though, purely because the citrussy smell is so addictive! I purchased this from a Body Shop outlet store for around £2.50 but I believe it is normally priced at £4.00 in shops and online. The other flavours available are: Pink Grapefruit, Mango and Shea Butter – I’m tempted to buy the Mango one as well, which was my second favourite! So have you tried these Body Shop lip butters before or any other lip balms? What are your thoughts? I’ve got this too and I’ve ended up using it as a cuticle butter rather than lip balm as I don’t like the way it feels on my lips. I do love the scent though like lemonade! 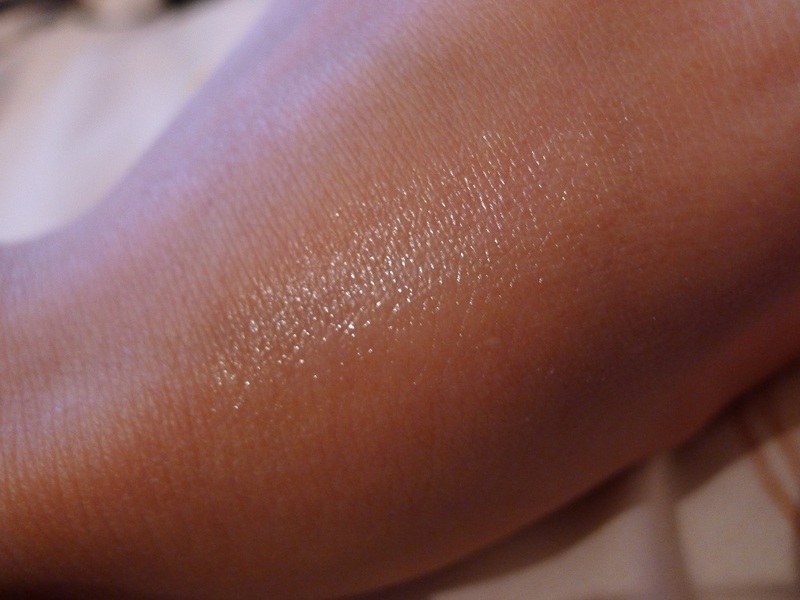 I never thought about using it as a cuticle butter, great tip! 🙂 yeah the scent is really lovely! Have you tried the other ones?